The first piece of silverware of the season is up for grabs for AC Milan and Juventus as they face each other in King Abdullah Sports City in Saudi Arabia on Wednesday. The Rossoneri has been deprived of any silverware since their penalty shootout wins over Juventus in the 2016 Super Coppa Italia and Gennaro Gattuso will be eager to get his first cup with his beloved Milan. Old Lady of Turin, on the other hand, will be hoping to continue with their unbeaten domestic start of the season with another victory over the rivals and win their 8th Super Coppa Italia. This match will also be the first chance for Portuguese forward Cristiano Ronaldo to get his first piece of silverware in Italy. Here is your team news and predicted XI. The defending champions have some injury concerns ahead of their match against the Milan giants with Colombian winger Juan Cuadrado, Andrea Barzagli still out with long term injuries. 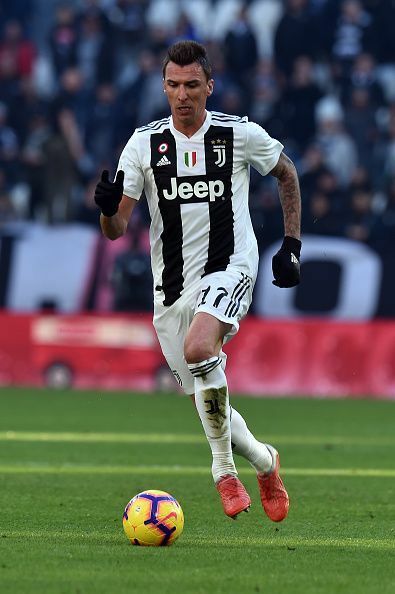 Croatian forward Mario Mandzukic also joins the injury list and will be a big miss for the Old Lady of Turin. Douglas Costa is expected to start along with Paulo Dybala on either side of the wing after an impressive display in the domestic cup.